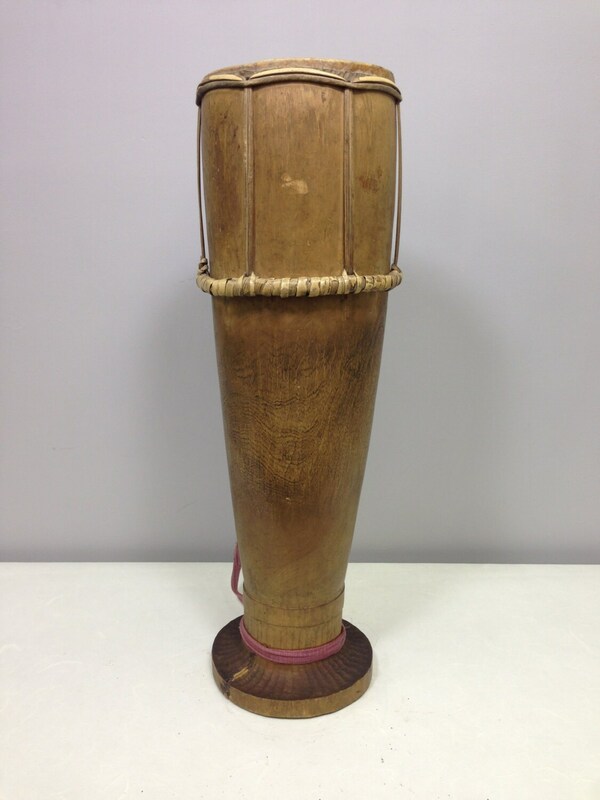 This is a wonderful Wood Drum from West Timor in Indonesia. 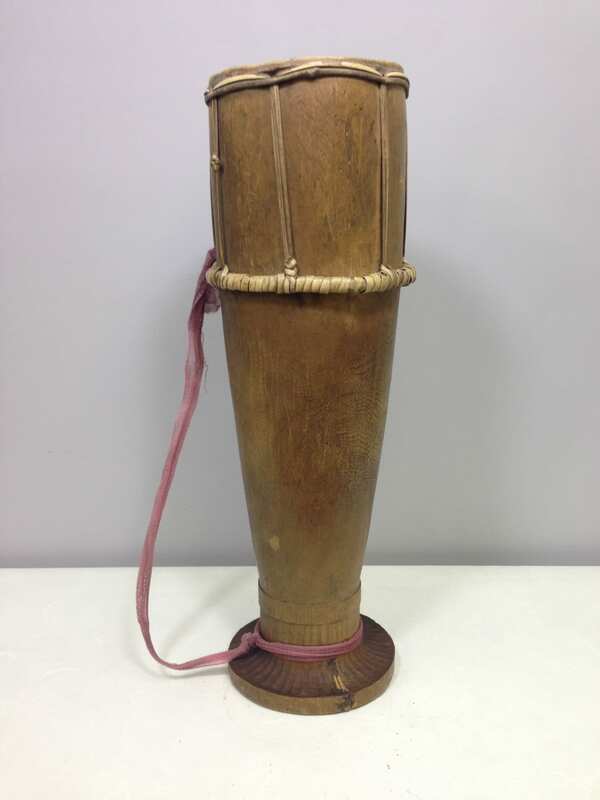 This drum is one of five similar drums which would form an Indonesia tuned drum set, called the Taganing. 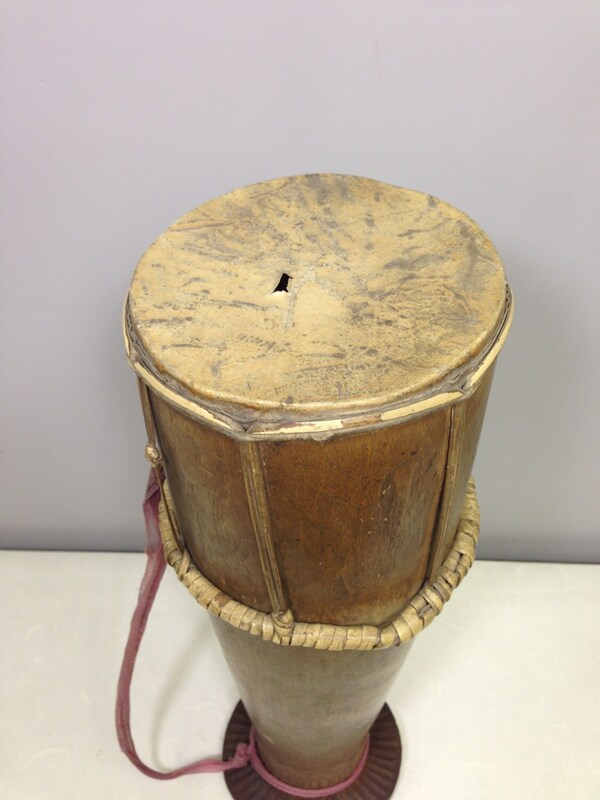 This particular drum is used to help summon the ancestor spirits. 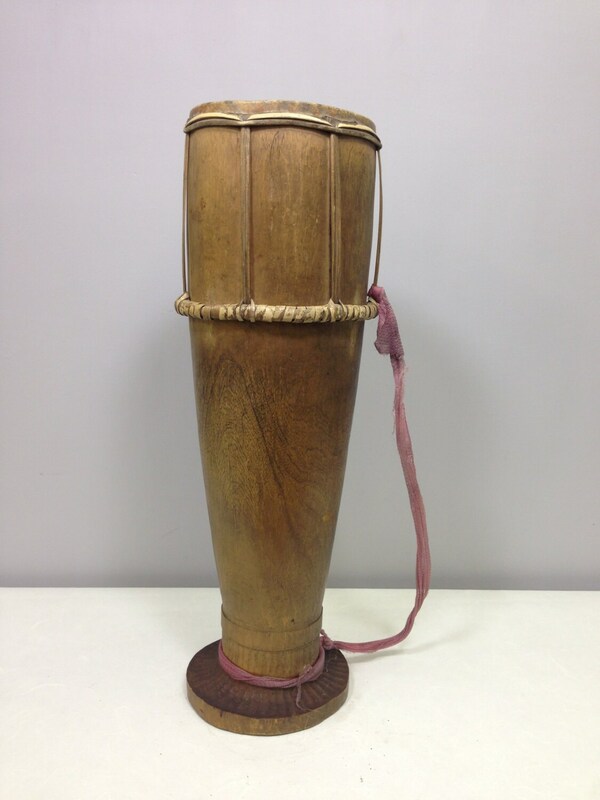 The body of the drum is wood with rattan lacing around the top and on the sides. The head of the drum is Pig Skin and wrapped with rattan and then resin is used to glue the skin. In all the ceremonies performed the women play the instruments whether, drums or gongs, while the men who dance holding their swords aloft with ankles adorned in bands of goat skin with brass bells tinkling in time with their feet. 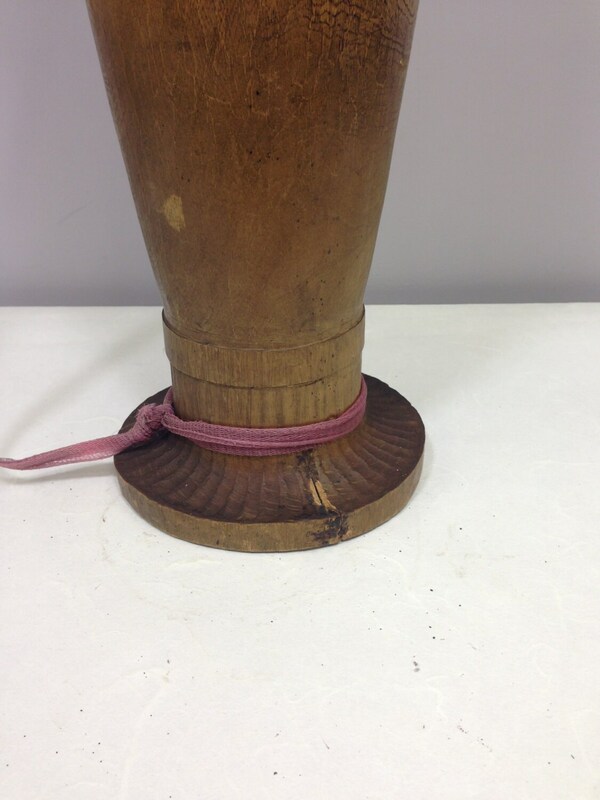 Their is a red fabric attached for carrying the drum. This is a unique old drum in simplicity and style and would be a wonderful addition to your collection or to your home. Show age and use. Their is small hole in the Pig Skin head, and a crack in the base.